If you’re pregnant and live in a rural area in America, giving birth is becoming increasingly more difficult. The New York Times reported on Tuesday that less than half of all rural counties have a hospital that provides obstetric care, with more than 179 counties throughout the country having shuttered their labor and delivery units since 2004. Women go to fewer doctor’s appointments and more babies are born premature, compared with similar places that do not lose access to care. And when women go into labor, they are more likely to end up at emergency rooms with no obstetric care or to deliver outside a hospital altogether. Forced to then wait 25 minutes for an ambulance to take her to that hospital, she finally arrived at St. Francis, nearly four hours after she left her home. As for why this is happening? Blame it on a combination of greed on the part of for-profit hospitals, which increasingly don’t see treating pregnant people as a money-making endeavor; deep cuts to Medicaid programs which are particularly exacerbated in states that failed to expand Medicaid to cover more low-income families; and a general lack of concern for rural residents. Maternal mortality rates (as well as infant mortality rates) are already much higher in rural areas than in cities. An analysis of CDC data performed by Scientific American found that in 2015, the maternal mortality rate was 18.2 for every 100,000 live births. 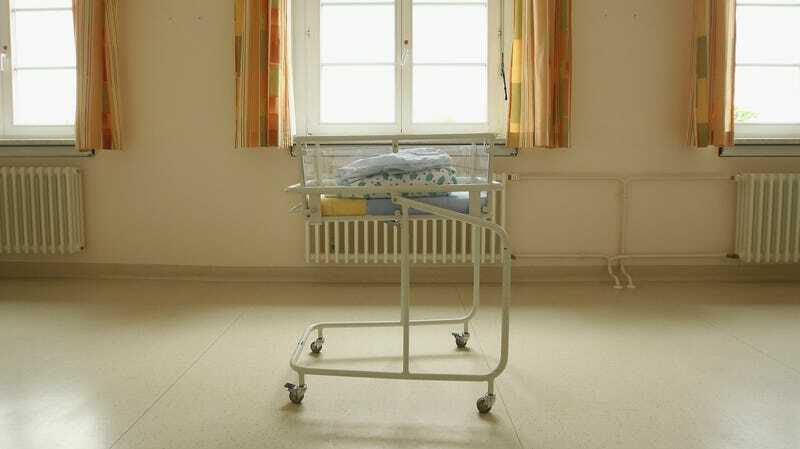 But for those in rural areas, the chance of dying in childbirth was 60 percent higher.